This week the world will celebrate St. Patrick’s Day. It’s the day when everyone becomes Irish. The staff at your Horror-scope is green with envy over all those Irish folks out there. We will have the traditional celebration with green beer, pickles and Irish soda bread. 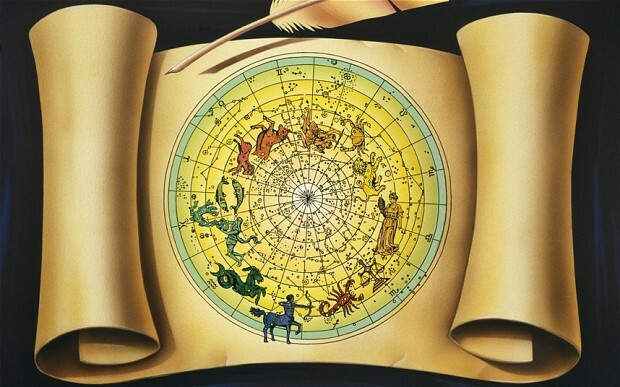 The celestial sphere is in tune as well, predicting events in line with the holiday. You can bet your brogue that you will survive this week and be the better for it. Aries… Venus is rising now but will be reclining later in the week. You will awaken to find yourself a large, green float in a St. Patrick’s Day Parade. Taurus… The Earth is in perigee now but wishes it was in apogee. You will be conned by a leprechaun from Connecticut. Gemini… Mars is on the cusp of Gemini now. You will have a colorful St. Patrick’s Day when you fall into a vat of green beer. Cancer… Mercury is square with Cancer at the moment. You will awaken to find yourself in a kettle of Irish stew with nothing to do. Leo… Neptune is tuning up for a St. Patrick’s Day party. You will soon pay a fortune for a moon rock then realize later that it’s a sham rock. Virgo… Pluto is sniffing around for a shamrock. You will awaken to find yourself surrounded by the snakes St. Patrick drove out of Ireland. Libra… Saturn is descending to new lows now. You will catch mononucleosis after kissing the Blarney Stone or Dennis Miller. It could go either way. Scorpio… Uranus is approaching trine with Scorpio. You will awaken to find yourself smoking pot at the end of a rainbow. Sagittarius… The sun is exceptionally quiet at the moment considering it has a gas problem. You will be given a sheleighly by Donna Shalala. Capricorn… Saturn is in its seventh house getting ready for a St. Patrick’s Day party. You will lose a gem stone on the Emerald Isle while singing to someone named Pyle. Aquarius… Uranus is in its ecliptic at the moment and is enjoying it immensely. You will awaken to find yourself engaged in a Gaelic conversation with an Irish wolfhound. Pisces… The moon is full of itself at the moment. Your enemies are out to decaffeinate you to make Irish coffee for a St. Patrick’s Day party.